Rewriting all the design cues in the segment, the all-new Peugeot 508 SW brings the radical styling traits of the 508 saloon, unveiled at the Geneva motor show in March, to the estate car. 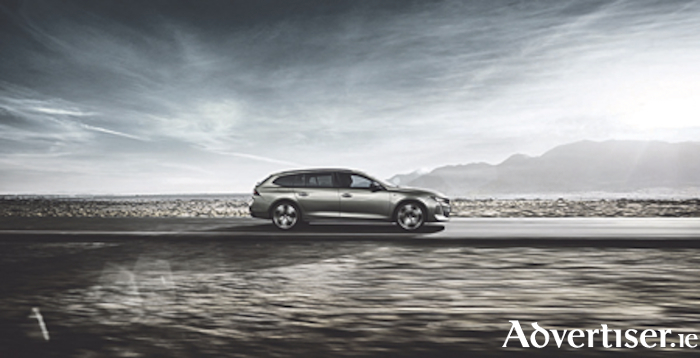 Measuring 1.42 m in height and 4.78 m long, the all-new Peugeot 508 SW’s new proportions give it an extremely dynamic body shape, stylised by smooth, flowing lines and a sleek, low roof which will be available in Ireland from early 2019. The interior of the all-new Peugeot 508 has been designed to maximise in-car comfort for driver and passengers. Trim dependent, it features ergonomic, wrap-around seats offering five multi-point massage programmes, premium trim and upholstery materials and a panoramic opening glass roof. Alongside the latest generation Peugeot i-Cockpit, providing all the information essential for the road ahead, the driver can enjoy the latest in-car optional sound system with a top of the range hi-fi system designed by Focal. New features for the range, dependent on trim, include Adaptive Cruise Control with Stop & Go function, Lane Keeping Assist and a Night Vision system - a first for the segment. This system utilises an infra-red camera to detect living beings in front of the vehicle at night time or in low-visibility conditions to maximise safety. With the aid of the magic flat function, allowing the driver to fold back the two sides of the rear bench seat, the all-new Peugeot 508 SW is never short of space, boasting a total load space capacity of 1780 litres. Developments in engine efficiency have been driven towards delivering best-in-class Co2 emissions figures, with the new generation PureTech and BlueHDi engines. In the second half of 2019, the range will be supplemented by an efficient plug-in Hybrid petrol power-train with an extended ZEV range of 50 km (WLTP cycle ). Prices and specifications for the Irish market will be announced closer to launch. Contact Hugo Loonam, the Midlands newest Peugeot dealer for all your motoring needs. Visit the premises at Ferbane Street Cloghan, Co. Offaly or contact 090-6457104 for more information on the entire Peugeot range.